Liam Neeson Stars in the First Trailer for Joe Carnahan’s Wilderness Thriller 'THE GREY'! Open Road Films have released the first trailer for Joe Carnahan’s upcoming adventure-survival thriller The Grey. The movie, based on the short story Ghost Walker by Ian Mackenzie Jeffers stars Liam Neeson, Dallas Roberts, James Badge Dale, Dermot Mulroney, Frank Grillo, Nonso Anozie & Joe Anderson. Neeson plays the leader of an unruly group of oil-rig roughnecks whose plane crashes into the remote Alaskan wilderness. Battling mortal injuries and merciless weather, the survivors have only a few days to escape the icy elements & a vicious pack of rogue wolves on the hunt before their time runs out. The Grey hits theaters January 27th 2012. 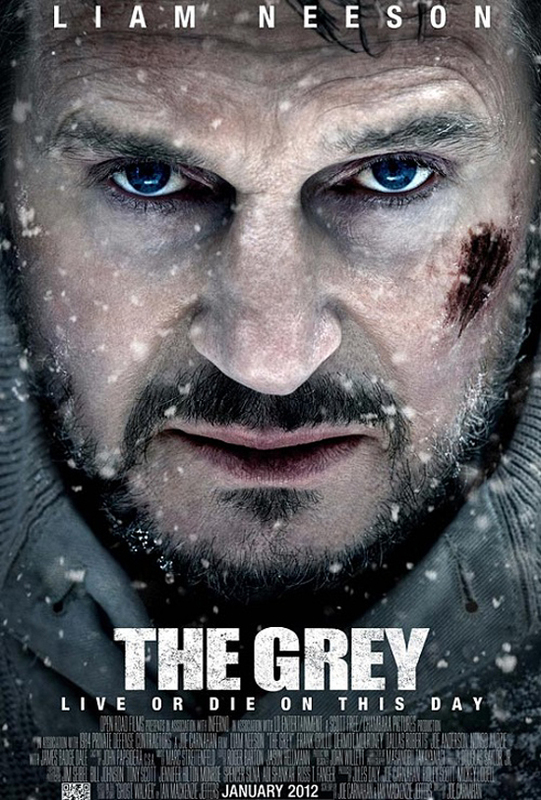 I'm reading: Liam Neeson Stars in the First Trailer for Joe Carnahan’s Wilderness Thriller 'THE GREY'!Tweet this!